Which brings us back to seismically active Anatolia where the rivers were full of gold dust. The land of Midas and Croesus. Another Hmmmmmmm for this topic! But seismically active by what process? Again, their explanation is an assumption, and I find the idea of a gold laced fluid scientifically very weak. All gold is produced by a discharge within the dielectric medium, the effect here being, in my model, the formation of the quartz occurring almost simultaneously with that of the gold, but the quartz first. I see in the local quarry the quartz veins in the basalt looking like 3-D lightning, which is what it was. The gold part of the process requires a discharge of particular nature for the gold to be produced. Lots of current I'm thinking. Many silver deposits in Bolivia have obvious dendritic characteristics, same process, different discharge characteristics. Silver is also found with quartz, as is copper. Copper can also be found in a dendritic form, so electricity, IMO, is the driver of the process. In this paper, some ore bodies can be described as shoots, and were described as growing like trees. All the effects noted could be the result of discharges within the rock they are found in, and the quartz is there too. What was left after processing the ore? The quartz crystals are the key to the production of the sought after metals, by E/M processes. 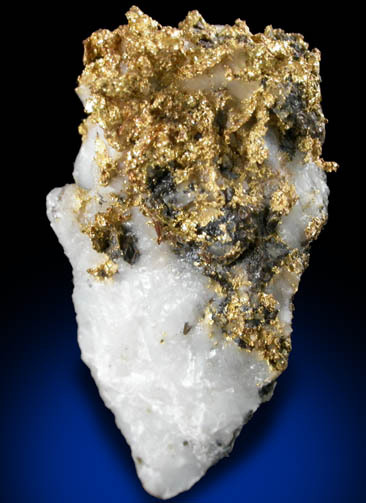 A GOLD-PLATINUM-PALLADIUM LODE IN SOUTHERN NEVADA. I wouldn't read too much into the dendritic shape - lots of things have it, e.g human veins, river systems. The word just means having a branched form like a tree. Alchemists (Philosophers of Nature) say that any metal will eventually turn into gold. In other words, the various metals, tin, copper etc, are the same metal at different stages of its life cycle. Metals/minerals are living creatures so once you remove a piece of ore from the ground you effectively kill it (like taking a fish out of the water). Another rock-cut temple/cave complex that looks like it has been smitten by a powerful hand. I'd say the carving of the temple had been finished before the event, and if the dates for the construction of the temples are correct, then we must consider that a very energetic event of some description must have occurred relatively recently, though not necessarily globally. Chatby Necropolis, Alexandria. Another location where there appears to have been erosion by way of plasma etching. Much of the Necropolis looks in fine condition, yet parts above and below ground seem excessively degraded. I think there are 2 possibilities for what happens with such situations. In the event of an ion cloud or stream reaching the surface, places with the best source of electrons are going to be very attractive, and the number of sharp edges found at locations where there has been much working of the stone provides a target. If the ionised material finds its easiest source of food underground, it will follow its nose down there. That parts of the Necropolis look so pristine is not surprising with electricity, it can lock on to one location until the electron source is depleted, then jump to another location, without affecting the structures in between contact locations. The second possibility is that the Gods really did have some skookum weapons and enjoyed trashing each other. 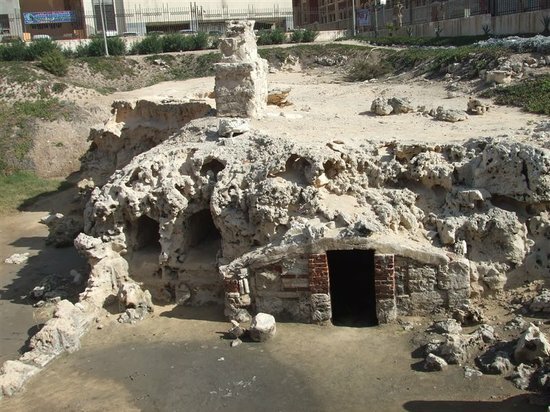 GaryN wrote: Chatby Necropolis, Alexandria. Another location where there appears to have been erosion by way of plasma etching.